I recently found the McAlester, Oklahoma Public Library has digitized newspapers and put them on their website. 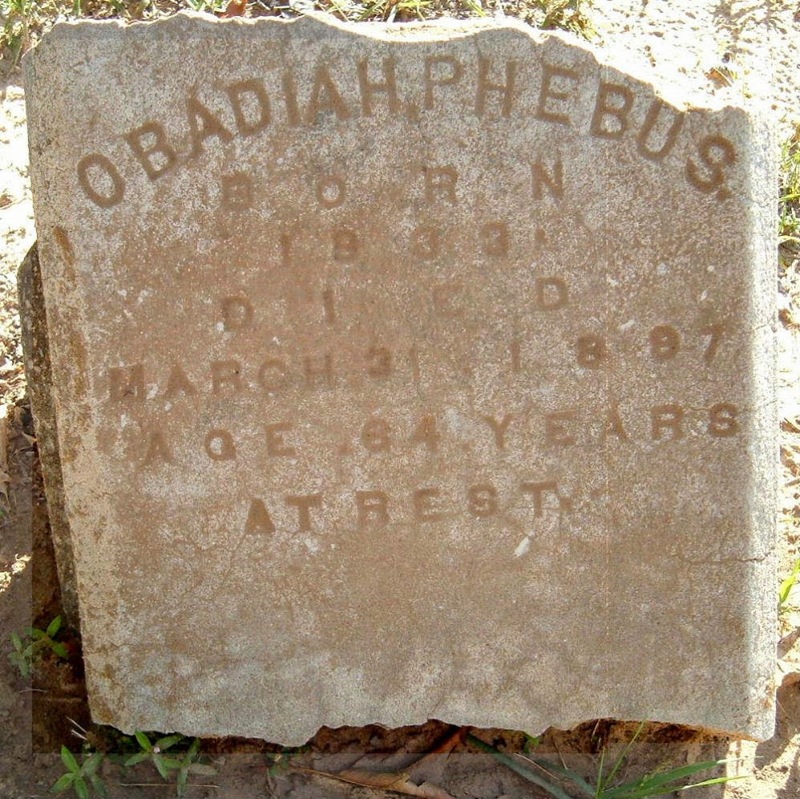 I have a gravestone record that shows Obediah Phebus died 31 March 1897. He was buried in Red Oak Cemetery in Bache, Oklahoma which is now in Pittsburg County but that jurisdiction did not yet exist in 1897. The proper location for the time would have been Choctaw Nation, Indian Territory. His son, William Morris Phebus would have been a bachelor presumably residing in the vicinity of Krebs. William was married to Margaret Welch nee Garvin on the 28th of August 1898 in Krebs a little over a year after the death of his father, Obediah. This picture appears to be an artist's sketch. 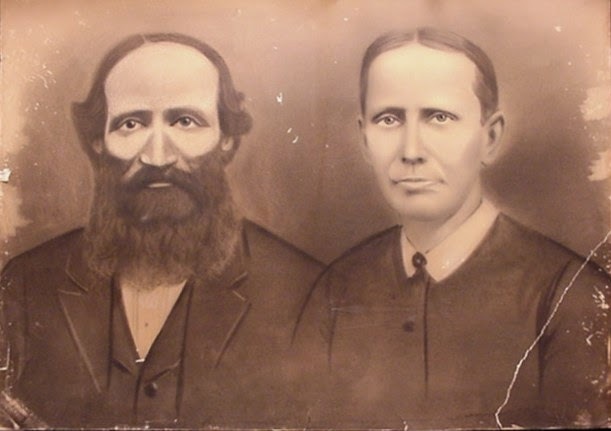 It was probably drawn in the 1870s in the vicinity of Lead Hill, Boone County, Arkansas where they were residing. This picture was found on Ancestry.com. I began searching digital newspapers at the McAlester Newspaper site on 27 February 2015: https://mcalesterlibrary.net/mcalesternews in the South McAlester Capital Daily Edition for 1897. There appears to be a gap in the dailies between March 30 and April 6. "E.P. Wilkinson has bought the Sample place between this city and Alderson and will move to it one day next week. Miss Lulu Wood of Hackett City is visiting her sister Mrs. E.P. Wilkinson." Apparently Lulu Wood had come to help her sister move into her new home. I have a Lulu Wood in my tree but she was born about 1893 and therefore would only have been about four years old at the time of this article. "E.P. Wilkinson's infant son died yesterday at the family residence between Krebs and Alderson, after a month's illness. The remains were buried today at the McAlester cemetery." It appears that Miss Lulu Wood might have come to help her sister with her ailing child in addition to the planned move. Since the residence was between Krebs and Alderson, it would appear that they did not move yet. It is perhaps more likely that an obituary might have appeared in a Krebs newspaper. No Krebs newspaper is available for 1897 at this library site. 1. The Oklahoma miner. online resource (None) 1912-192? 2. The Oklahoma miner. (Krebs, Okla.) 1912-192? 4. The Krebs cyclone. (Krebs, Ind. Terr. [Okla.]) 1900-190? 6. The Krebs advertiser. (Krebs, Okla.) 1910-191? The vote for allocation of the tribal lands was approved by the Choctaw citizens and freedmen despite the recommendation of this article. This vote set the stage for the statehood of Oklahoma in 1907. It would be interesting to know how many of the freedmen were able to hang onto their land. If you have anything to add on this subject, please add a comment.